Sparco Pop-up Adhesive Fanfold Note Pads - Fanfold, adhesive notepads pop up out of dispensers easily. Each yellow note stays firmly in place. Remove without marks or spots. Adhesive notes use solvent-free adhesive. 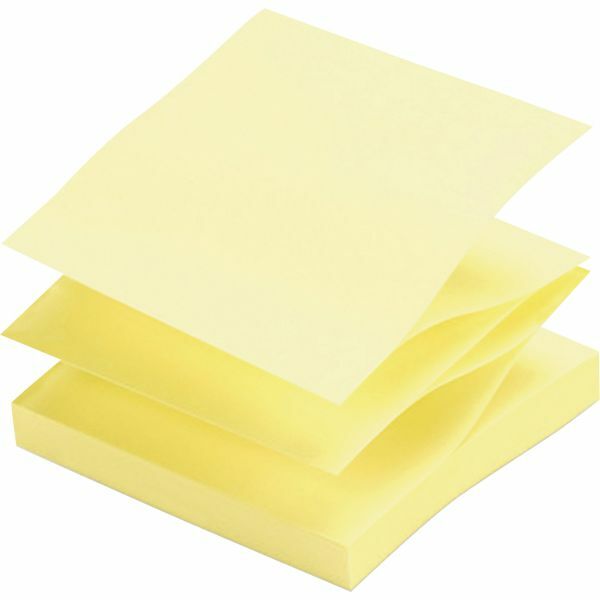 Each pad includes 100 sheets and an eye-catching yellow color to get your message delivered.